Filed to: Hey Who Wants in on My Family Plan? ?Filed to: Hey Who Wants in on My Family Plan?? Hey Who Wants in on My Family Plan?? If you’re saving a few bucks with a Spotify family plan without following the company’s one-household rule, be sure to take advantage of it while you still can. 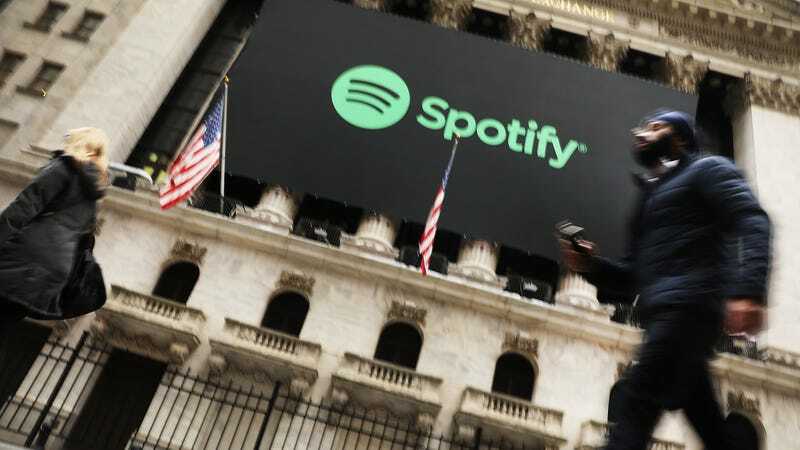 Spotify may come knocking for your “GPS data” to confirm you are indeed following the rules, or else “you may lose access to the plan,” according to two emails posted by subscribers on Twitter. These accounts, as well as a few others, suggest that some sort of a crackdown is afoot, though it’s not clear if that’s actually happening right now on a broad scale. We’ve reached out to Spotify for more information. But a good deal only lasts so long. Ever since we stopped buying stuff and started streaming it, the family plans offered by the likes of Netflix and Spotify have at times been some of the best deals in tech. That’s because family plans are never truly just for families, let alone for family members who all live in the same place. But we’re following a pattern here, set by companies like Netflix. They know we share passwords. They know we add friends to our plans. Because of course we do! And to a degree, these companies are probably fine with it because family plans (as well as student discounts) are all about growth ($$$). They help services like Spotify add users to the mix—users who, maybe, eventually get hooked on the service and don’t mind paying full price for it. The solution is to enjoy these plans while you can. And you can always jump ship to another streaming service once you hear Spotify at your door.